As all hell breaks loose in New York City, he soon finds himself the next target of a powerful enemy who wants him silenced. Permanently. Store Links: Amazon US Amazon UK Nook iTunes Kobo. 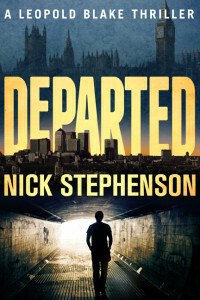 While tracking a psychopathic serial killer through the streets of London, expert criminologist Leopold Blake realizes with chilling certainty that history is about to repeat itself – with devastating consequences. 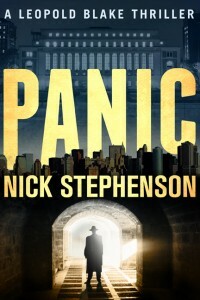 Where Scotland Yard and MI5 have failed, Leopold must find a way to hunt down and apprehend a ruthless maniac before he strikes again – and Leopold is about to realize that the good guy doesn’t always win. 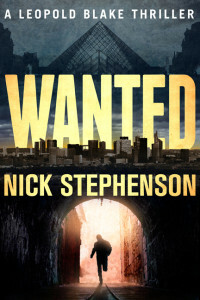 What should have been a relaxing vacation in Paris turns into another unwinnable situation for expert criminology consultant Leopold Blake. Caught in the cross hairs of a ruthless assassin and on the run from the police for a murder he didn’t commit, Blake and his team must fight to clear his name before it’s too late. As enemies close in from all sides, Blake is about to learn who he can trust – and who is determined to destroy him – as The City of Light becomes a new hunting ground. When a high-flying Wall Street investment banker is found brutally killed, what started out as a simple fraud case turns into expert criminologist Leopold Blake’s first ever murder investigation. 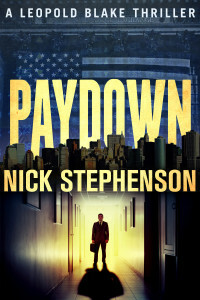 Now, with the financial world at the brink of collapse, Blake must put aside his differences and work with NYPD Detective Mary Jordan to find and stop the killer before it’s too late. “Paydown” is a prequel to “Panic”. When an old acquaintance calls in a favor, Leopold Blake finds himself unable to refuse – despite his best efforts. A major political conference is hitting Seattle, and presidential hopeful Jack Melendez is fresh out of bodyguards – a problem that Leopold is in a unique position to remedy. With all eyes on the Emerald City, Blake and his team soon discover that all is not as it seems. What should have been a simple protection job quickly turns into the weekend from hell, as powerful enemies converge on their position, bent on revenge. But who is the target? “Had me on the edge of my seat the whole time with its fast pace and nonstop action. A real page-turner, it leaps from crisis to crisis and never slows down, twisting all the way to its gripping conclusion.” – David VanDyke, author The Eden Plague. “Sherlock Holmes for a new generation” – Robert Crawford, author of American Zen.